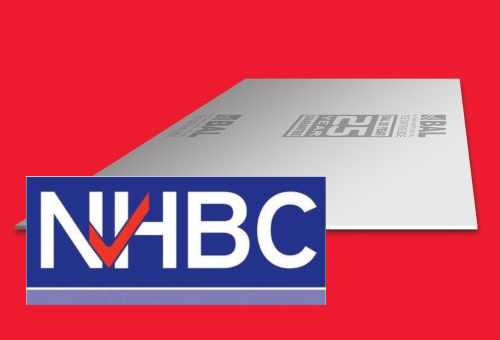 BAL Board – the strong lightweight tile backing board from the UK’s market-leader in full tiling solutions – has been accepted as an approved building product on NHBC registered sites. Approved by the BBA (British Board of Agrément), BAL Board is a Magnesium Oxide (MgO) board for internal tiling. Easily fixed to either stud work, solid walls or floors, BAL Board can support a combined tile weight of up to 100kg/m2. This far exceeds the recommended tiling weight for plasterboard (32kg/m2), gypsum plaster (20kg/m2), and foam-core tile backing board (up to 60kg/m2). BAL Board is moisture and mould resistant, and because it is thermally resistant it provides a high-level tolerance during hot and cold cycles making it suitable for use with underfloor heating. Unlike alternative cement-based boards, BAL Board is also extremely lightweight – in fact it is up to 35% lighter per m2 than cement-based boards. What’s more, it’s easy to cut with either a craft or utility knife and produces minimal dust – making it safer for the fixer and environment. In addition, its cold fusion, low carbon manufacturing process significantly reduces the CO2 output compared to other manufacturers processes. BAL are one of only two suppliers whose MgO boards are accepted by NHBC, because the board has undergone a satisfactory assessment by a technical approvals’ authority (independent third-party certification) acceptable – in this instance the BBA. David Wilson, UK Head of Technical Standards and Information at BAL, said: “MgO boards are a relatively new type of building board used in the UK, and as such it is important to ensure the quality and consistency of BAL Board and to ensure that the boards are capable of meeting the demands of modern construction and the appropriate British Standards. Because BAL Board is fully tested and approved by the BBA and manufactured according to ISO 9001 for quality assurance, it comes with BAL’s leading 25-year written guarantee (when correctly installed and used in suitable applications). For full NHBC Technical Guidance visit http://www.nhbc.co.uk/Builders/ProductsandServices/TechZone/technical-updates/magnesium-oxide-building-boards/. For information and technical data on BAL Board visit https://www.bal-adhesives.com/products/bal-board/.